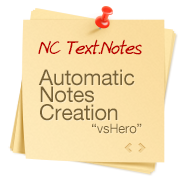 Text.Notes - Automatic creation of text notes vsHERO – add-on to the NoteCaddy program that will allow you to automatically create notes in text form on the players with whom you are playing. Pro.Tools - Professional collection of definitions/stats and pop-ups. 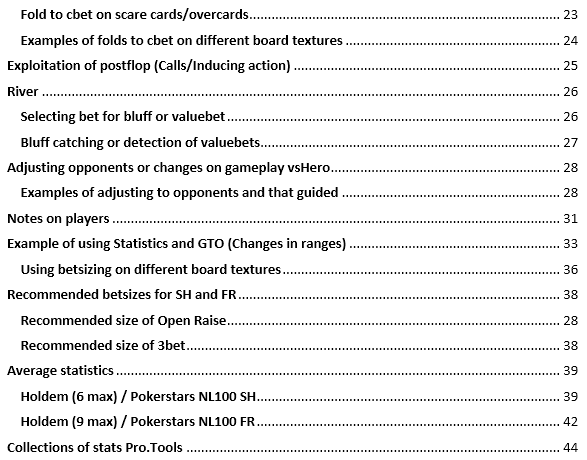 This package is the most comprehensive collection of stats for the post-flop game, it offers more information on opponents, covers the maximum gaming situations and brings out more accurate and essential game statistics. Pro.Tools Omaha - Collection of definitions/stats and pop-ups for PLO/PLO8. 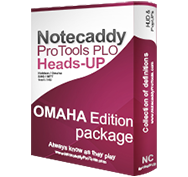 Package of definitions for Notecaddy wich are adapted for OMAHA with using preflop and postflop betsizings and actions on specific boards. Pro.Tools Lite - Collection of definitions/stats and pop-ups. This collection is intended for the beginning players, allowing quickly to get used to new additional statistics, qualitative and convenient popups will allow to play better against your opponents. ProTools CAP - Collection of stats/definitions and popups for playing on CAP tables. Package are adapted for play with 20bb stack size and based on preflop/postflop betsizing and actions on different textures of boards. ProTools SNG/MTT - Collection of definitions/stats and pop-ups for SNG/MTT . 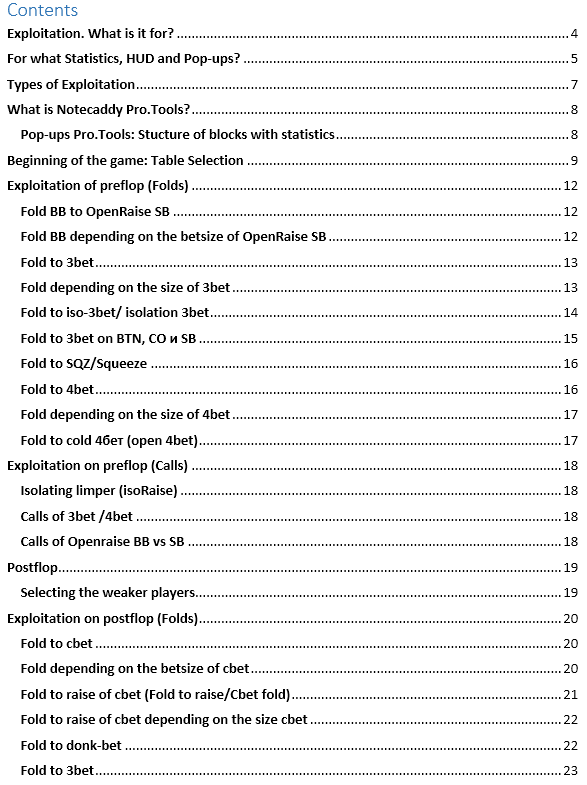 Package with definitions/stats/popups are adapted for tournament games with using preflop/postflop stacks and betsizing. 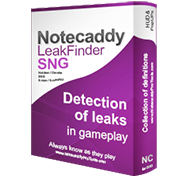 SNG LeakFinder - This add-on for Notecaddy will help you find leaks on preflop in SNG games (mistakes and leaks in your gameplay and your opponents). We represent new additions to the NoteCaddy program. With the help of advanced statistics in new popups or Pro.Tools or Pro.Tools Lite you can quickly find leaks of opponents and to apply the most profitable lines in your game. Last edited by rasinv; 11-17-2015 at 08:45 AM. Pro.Tools's possibilities extend, now upon package purchase there will be additional features for extension of your gameplay. The first Users Guide which includes information about statistics and calculations for "zero" folds. Bases of exploitation and examples of use of statistics. for receiving additional profit in game. Notecaddy Pro.Tools - professional collection of stat and pop-ups including the most full range of features for gameplay and to exploitation of opponents. HUD is supplemented by the informer for folds to 3bet in 4 game positions. 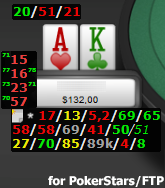 Only permitted PokerStars statistics are in popups. Notecaddy Pro.Tools - professional collection of stats and popups, includes the most comprehensive range of options for the game and the exploitation of the opponents. Color Definition>NoteCaddy Notes with longer Text description Please?